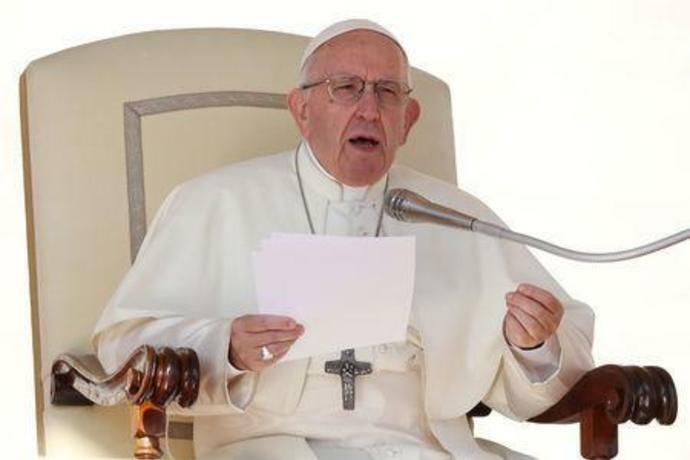 VATICAN CITY (Reuters) - Two Catholic bishops from China who for the first time were allowed by the Beijing government to attend a Vatican meeting have invited Pope Francis to visit their country, a Catholic newspaper said on Tuesday. Joseph Guo Jincai and John Baptist Yang Xiaoting attended the first two weeks of a meeting of bishops from around the world, known as a synod, and saw the pope daily. Their presence was the first concrete sign of a thaw between the Holy See and Beijing following a landmark agreement last month on the naming of bishops in the communist country. "While we were here, we invited Pope Francis to come to China," Guo said in an interview with Avvenire, the daily newspaper of the Italian bishops conference. "We are waiting for him," Guo said. 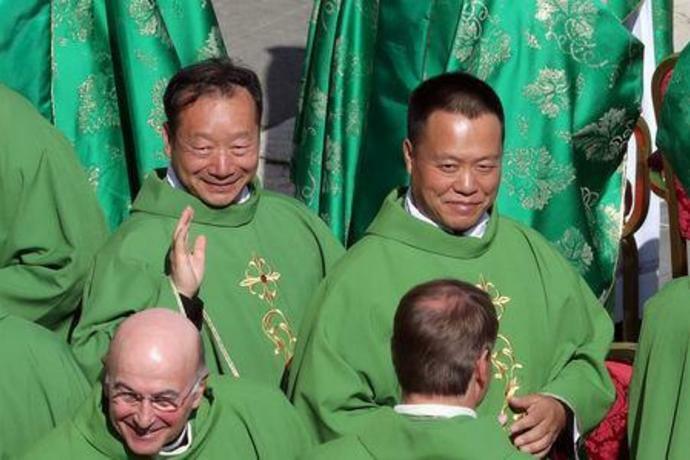 The deal, which was in the making for more than 10 years and signed on Sept. 22, gives the Vatican a long-sought say in the choice of bishops in China, though critics have labeled it a sellout to the Communist government. China's approximately 12 million Catholics have been split between an underground Church swearing loyalty to the Vatican and the state-supervised Catholic Patriotic Association. Guo has close ties to the government because he was ordained into the Catholic Patriotic Association without papal permission and had been excommunicated by the Vatican. As part of the Sept. 22 agreement, the pope lifted his excommunication and recognized his legitimacy, making Guo an important interlocutor between both sides. Guo said he did not know when a trip could take place but said he and his brother bishop Yang believe it was possible and were praying for it. "Our presence here was considered impossible but it became possible," he said. The pope is expected to visit Japan next year and on Thursday he will meet with South Korean President Moon Jae-in, who will be carrying an invitation from North Korean leader Kim Jong Un for the pope to visit Pyongyang. Vatican officials have stressed that last month's deal between the Holy See and China was pastoral and not political. But many believe it is a precursor to the restoration of diplomatic ties between the Vatican and Beijing after more than 70 years. That would mean breaking relations with Taiwan. The Vatican is the self-ruled island's last remaining diplomatic ally in Europe. Taiwan, which Beijing regards as a renegade province, has formal relations with 16 other countries, many of them small, less developed nations in Central America and the Pacific.